8 Foil Eye Masks. For you and your friends to disguise yourselves. Real disguise, ask Robin. Eye Masks - Pack of 8 - Assorted Colour. Material: Foil. Easy to Wear as it has an elastic band. 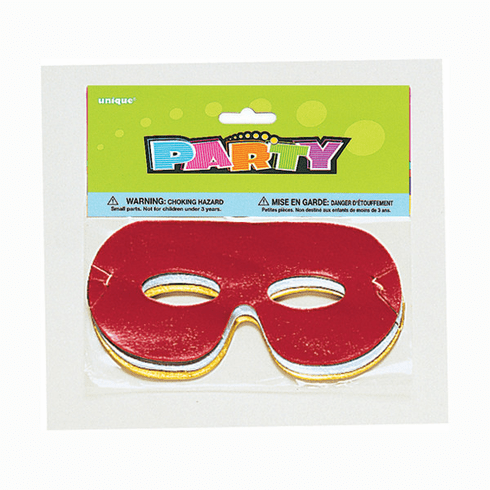 Ideal for Mardi Gras costume party. Great value for your money.